Our gates are manufactured using 30 x 8mm flat bar frame. 12mm OD round vertical bars and are galvanised after manufacture. They also come complete with a fixing kit. 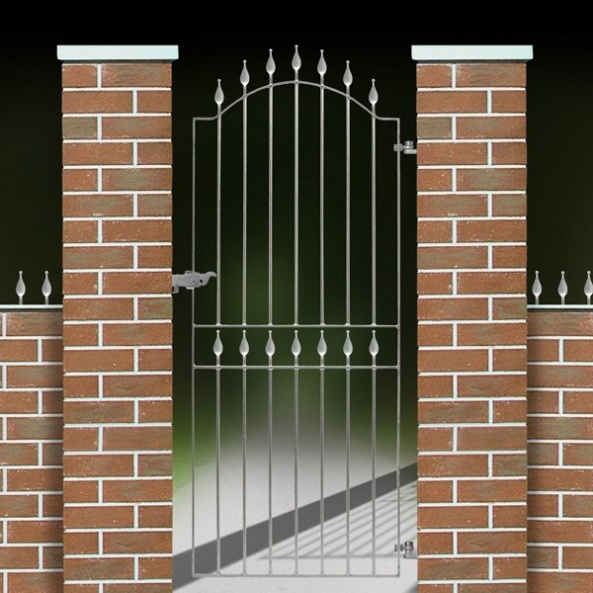 You can choose to have the gate supplied galvanised, or if you wish we can powder coat the gate for you prior to dispatch in a choice of colours. Firenze Garden Gate to suit 900mm gap.